Niska wakes in the care of the purple-eyed Odi, who reveals himself with the name V. V was an AI program designed by Dr. Morrow who knew everything but felt nothing until Day Zero. He granted Odi's wish to be put out of his misery and in return V got to use his body as a vessel. V deleted the consciousness code and began to work towards helping all the synths they could feel in pain. Laura is able to meet with Mia, who was brought to the secret place by Neha, and warns her that she they need to get the word out about Basswood. Neha attempts to secretly record a Dryden meeting about the Operation Basswood attacks. Leo stands alongside Max as he instructs the synths at the camp to use the limited power reserves to charge those with the lowest power levels first. Some don't want to follow his orders but opt to comply after Max tells them he has killed Anatole. Niska is angry when she learns that V has deleted the consciousness code as she believes this means the extinction of their species. But V cryptically says that the synths will live on but in another form completely. Mattie is at a clinic to make an appointment for an abortion but displays sadness and uncertainty about whether to follow through on it. The Dryden commission begins the series of power surges and Mia returns to the camp just in time to unplug most of the synths to prevent them from being effected by the surges in their area, with Leo's help. However, one synth named Ferdinand is killed by the power surges while Sam is right next to him to witness his death. Max, Leo, and Mia form a plan of escape out of the camp and the country so they can be gone before the humans come after them. Mia and Leo also enjoy their reunion after having been apart for so long. Neha prepares to leave the Dryden commission, as Laura watches and waits from a car at a safe distance from the camp. She and Neil exchange words about their beliefs regarding the synths' ability to feel pain. Neha is about to leave when an orange-eyed synth pulls out her phone and exposes her recording, leading to her arrest. Sam tells Max he doesn't want to leave the camp, as it is their home, but Max tells him that a home is made by the people in it. The synths continue packing up their belongings but a mob is already on the way made up of the We Are People thugs prepared to attack them. Laura returns home where her children are watching false news reports are claiming green-eyed synths are being violent, and in turn encourage violence to be used against those synths. Neil arrives at their home and brings documents for Laura to use that prove the planned genocide. Neil now believes that the synths can in fact feel pain and doesn't agree with Basswood. Max and Mia insist to the synths that violence is not the answer, as it will only harm their greater cause, and instruct them on ways to hide. Laura insists that she needs to be the one to inform the public about Basswood, despite Neil's offers to do it himself since he doesn't have a family to look after like she does. The synths at the Railyard are hiding under a drain with Leo, but discover Sam is walking around upstairs armed with a weapon and promising that he'll protect them. Laura is called to give a testimony on a live BBC broadcast and she exposes the truth about the government's plan to massacre the synths and shows the Basswood folder. Immediately after her speech, law enforcement arrive to arrest both her and Neil. Leo catches up to Sam and carries him back inside right before the We Are People thugs break down the gate and come charging in. The synths go out to the meet the humans and refuse to attack them, opting only to defend themselves. Even Leo surrenders himself to the synth side after telling Sam to stay hidden and return to Joe once it's all over. But the only injury to a human comes when begins throwing things at the humans, prompting them to charge at the synths. The police arrive at the Railway, as do the news media. Mia is horrified that anyone else could be hurt. Mia spots a TV camera recording the whole thing. She decides to sacrifice herself by extending her hand and repeating the word "Peace" as the thugs beat her to death. Niska demands answers from V, who speaks cryptically before telling her that he will share what he knows with her and that she will be able to save the synths with this knowledge. Niska believes that Mia is the true leader but V says that Mia's life will have a different meaning. The police have managed to break up the riot but Max is informing Leo that there is no way to save Mia. Max picks up Mia's body and Leo follows close by as they begin to march to the Dryden Commission Headquarters with an ever-growing crowd of supporters, both synthetic and human. V imparts his wisdom to Niska and she awakens with new purple eyes, as well as the realisation that Mia is dead. V explains how Leo Elster was changed due to the mixing of human blood and Synth blood, which causes a fusion between the two. Humans and synths both have a future and Niska will be the one to lead the way. A troublesome encounter between Stanley and Sam suggests that Sam has potentially developed a preference for violence and hurting people. Mattie has decided to not only abort her baby, but also to turn herself in as the cause of Day Zero in exchange for her mother's freedom. Leo tries to make amends with Mattie but she rejects him, saying it's too late. 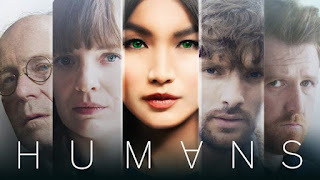 But before she can have an abortion or fully turn over the incriminating information to the head of Dryden, Niska arrives and tells her that her baby will be the first of its kind, part human, and part synthetic.